The shape-shifting robots of Transformers have taken on a new form: Huge piles of cash. 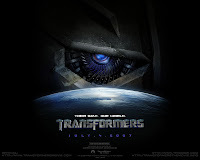 The sci-fi saga Transformers debuted with $67.6M in ticket sales in its first weekend, according to studio estimates Sunday. That gave it $152.5M since opening with preview screenings Monday night. If the weekend figures hold when final numbers are released, that would give Transformers the biggest first week revenues ever for a non-sequel, surpassing the $151.6M of Spider-Man (2002). But factoring in today’s higher ticket prices, Spider-Man drew more people in its first week, about 26.1M, compared to 22.5M for Transformers.